When Niccolò di Bernardo dei Machiavelli wrote ‘The Prince’ in 1513 C.E., he was looking for a job at the court of the Medici, which he didn’t get. What he did manage to do, instead, was play a part in the unfolding story of social and psychological awareness that was fast becoming a key characteristic of the Renaissance. 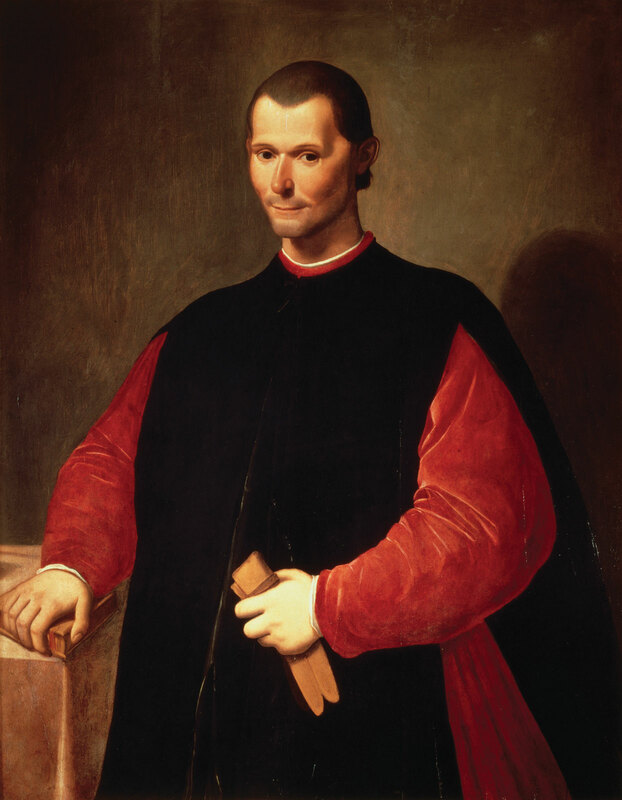 ‘The Prince’, Machiavelli’s treatise, was the first major work on the subject of political science in Western history. It was a compelling narrative of social and emotional intelligence concerning theories of power and, in particular, with power derived from fear. The theories Machiavelli set out in ‘The Prince’ have had such a remarkable influence on subsequent political thinking that they are still a much-used reference point in political circles today. ‘The Prince’ was an essay in what Machiavelli saw as unchanging human nature. In 1569, some 50 years after its publication, The English Dictionary defined it as being based on ‘practicing duplicity in statecraft and general conduct’. The psychoanalyst, Adam Phillips, however, has talked in this BBC documentary about how Machiavelli’s theories may have been based on a fear of scarcity in his own life experiences as much as any well-constructed view of inter-personal relationships. A Machiavellian maxim for leadership was ‘you may excite fear but not hatred, for hatred will destroy you in the end’. Another was ‘when you confer benefits, do it yourself, but leave the dirty work to others so they get the blame’. And so, in this way, an epoch of paranoia was sprung. ‘How do these theories work in a globally connected society today?’ we might ask. With multiple reference points at our fingertips, linked data, and best-case examples of human interactivity all now readily available, as well as listening tools and therapies at our disposal, things aren’t the same as they were 500 years ago. Yet the politics of fear remains strong. Fear as a primal force has a strong gravitational pull, while FOMO, the ‘fear of missing out’, has been established as one of the most potent digital media incentives that will incite action. But does it have to be this way? The web offers a wholly different framework of inter-operability compared to anything within the field of human relationships that has gone before it. The volume of information available to us, the speed at which we can transfer knowledge and the power dynamics of the web are all new ingredients in human existence, and yet the management strategies and assumptions about power that we have remain largely unchanged from Machiavelli’s time until now. Human instinct may have it in itself to be nasty and brutish, geared towards colonisation and the taking of power by force, but the Web is designed somewhat differently to the environment of our forbears and the digital world is a very different place to the autocracy of the Medici. In the digital world, organic human attention flows are the prime currency. The more discretionary and freely-given that attention is, the more it signifies sustainable value. The coded world is an environment created by linked API’s, where power stems from connectivity. In the digital environment, everything is granular and this granularity is the key to developing data insight and analytical ability. The great advantage of the digital world is democratic then, not autocratic, pluralistic not determined by a few. The politics of fear of Machiavelli are not as relevant as the value of digital inclusion. Tim Berners-Lee said ‘not only must the web be for everyone, we also need everyone to be for the web’. In coding, power stems from the fact that everything in the digital domain has a unique identifier, and understanding the dynamics of human need, interest and movement provides previously unattainable levels of insight about where to look for future potential and opportunity. These lay out the route to the prosperity in the Digital Era. They are elements of a new kind of power, networked power. The characteristics of the Digital Era are quite different from those of Machiavelli’s. Understanding this may lead to some changes about how we think about power, as we become more digitally sophisticated, and how we develop influence in the Digital Era as we embark upon this new chapter of human existence.